8 starred reviews ∙ Goodreads Choice Awards Best of the Best ∙ William C. Morris Award Winner ∙ National Book Award Longlist ∙ Printz Honor Book ∙ Coretta Scott King Honor Book ∙ #1 New York Times Bestseller! 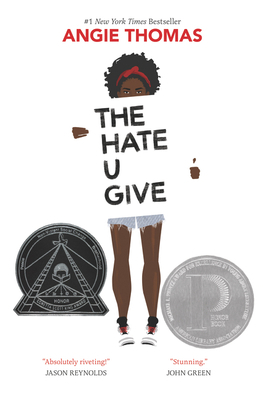 Angie Thomas made her debut with the #1 New York Times bestselling, award-winning novel The Hate U Give. A former teen rapper who holds a BFA in creative writing, Angie was born, raised, and still resides in Jackson, Mississippi. You can find her at www.angiethomas.com.